We are at the Miami International Film Festival with actress Akari Endo with the film Cristo Rey. 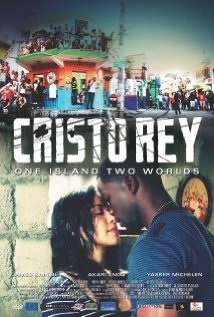 Cristo Rey is a 2013 Dominican Republic drama film written and directed by Leticia Tonos. Akari Endo Sepúlveda was born November 8, 1989 in Santo Domingo, Dominican Republic to a Dominican mother and Japanese Father. In 2008 she starts her acting and singing career in musical theatre with “High School Musical On Stage” followed by other musicals like “Annie”, “CATS”, “RENT”, “West Side Story” ,”Camp Rock” and “Legally Blonde”. Her acting career continues with the film “Cristo Rey” by Leticia Tonos, “Quién Manda?” by Marco Films, “Sharktopus vs Pteracuda”, “Sharktopus vs Mermantula” directed by Kevin O’Neil.